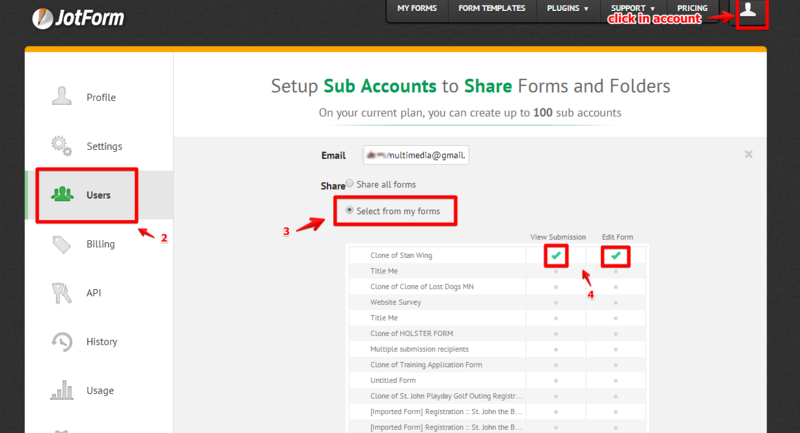 Can Sub-Users Create their own Forms? Can sub-users have control over their own forms, meaning as they log in under their own email, design their own forms etc? Can be hidden from other users or is all forms shared between sub-users? So you can have different sub-users with different access levels. You can see here more details on this matter.